In order to solve the risks associated with how your employees are using and configuring the cloud, Armor has partnered with RedLock®, a continuous cloud security and compliance posture management solution for hybrid and multi-cloud environments and is from Palo Alto Networks, to launch: Armor Automated Security and Compliance – RedLock. This offering combines the RedLock and Armor Anywhere offerings to reduce security incident response times resolving both the accidental and intentional security threats to your cloud environment. With the RedLock offering, Armor is able to help clients resolve any configuration missteps (i.e. leaving cloud storage open to the world, exposing an application to the public internet, not enforcing IAM rules, etc.) with how they are using the cloud that might leave their environment vulnerable to breach. Armor Anywhere takes this service a step further by providing threat detection and response against intentional attacks against your environment by threat actors (i.e. intrusion detection, file integrity monitoring, malware protection). Combined, the offering protects against accidental and intentional threats to your cloud environments. After your initial free assessment, organizations will purchase Armor Automated Security and Compliance – RedLock so they can continuously monitor security and compliance violations of one or many of the above standards. The diagram below shows how the offering works to deliver on the promise of continuous compliance and security monitoring within your environment; this product allows you to manage risk within your environment based on your business requirements, the latest threat intelligence and regulatory and best practice standards. Identify your cloud environment footprint and monitor for the creation of new instances or buckets (i.e., shadow IT). 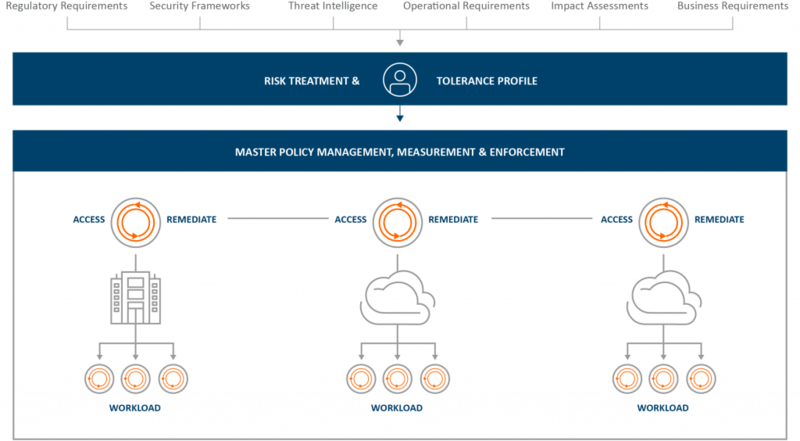 Provide policy visibility and ensure consistent enforcement across multiple cloud providers. Scan your compute instances for misconfigurations and improper settings that could leave them vulnerable to exploitation. Scan your storage buckets for misconfigurations that could make data accessible to the public. 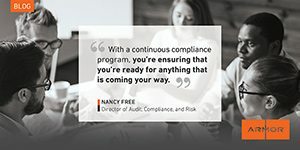 Audit for adherence to appropriate compliance mandates. Perform risk assessments vs. frameworks and external standards such as the International Organization for Standardization (ISO) and National Institute of Standards and Technology (NIST). Verify that operational activities are being performed as expected (e.g., key rotations). Automated remediation—or remediation at the click of a button. Host-based security controls (FIM, IDS, Malware Protection, Vulnerability Scanning) to protect against intentional attacks against your environment from threat actors.